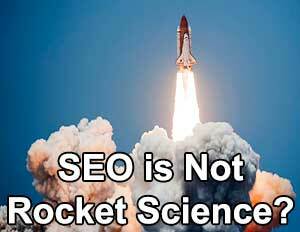 SEO is Not Rocket Science? In the past decade SEO methods have change dramatically due to the implementation of many different Google algorithims which has made the keyword meta tag obsolete. 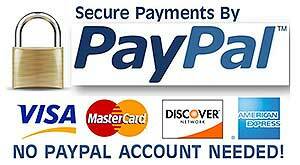 Today there are many different variables which are considered when starting an SEO campaign. The old days of keyword stuffing are long gone and now quality content is King. Many SEO companies are rather expensive because they convince customers this process is complicated when in reality it's just a matter of implementing strategic keywords at 3% density on your website and obtaining hundreds if not thousands of quality backlinks to many pages on your website giving them page authority for an excellent SERP. This process basically prepares your website for an Off Page SEO campaign which makes your website search friendly ensuring an excellent SERP (search engine results page). Having performed SEO for many years, I can assure you engaging quality content is what Google likes. So the first step is to choose your targeted keywords and find out how much competition there is for your keywords. You can visit Google’s keyword planner to research your keywords. https://adwords.google.com/KeywordPlanner If the keywords you’ve chosen has high competition, I recommend using long tail keywords. Let’s say you are a local business selling electronic cigarettes then your long tail keyword would be “electronic cigarettes in Columbus GA” because just “electronic cigarettes” world wide might be too competitive. The next step is to incorporate these long tail keywords in the correct places of your web pages which will be in the page title and description tags located in the section of your page being careful not to keyword stuff as Google frowns upon this. The page description tag should not just have your keywords only but a descriptive informative sentence about your business or services containing your targeted long tail keywords. Next place these keywords in your H1, H2 and H3 tags which are the headings for each paragraph. The most important keywords should be in the first sentence of the first paragraph and keyword density for each page should be around 4%. Since a lot of visitors might have a short attention span, I recommend utilizing pics and embedded videos which will engage your visitors more than text alone and susbsequently stay on your site longer thus reducing your site’s bounce rate. You can also include these keywords in the alt tag of your images. Keep in mind page loading time should be approximately 3 to 5 seconds so makes sure your images are optimized at 72 dpi and limit .png images since they are the largest in file size. If you need to use .png images, keep the maximum colors much less than 256. Also embedded videos should not be set to autoplay. In conclusion, remember the key to success is better quality content than your competitor which keeps visitors coming back to your site as well as new visitors. Now that your website is optimized correctly it’s time to implement internet marketing to attract visitors in Columbus, GA. There are many controversial methods on the internet about performing off page SEO, however, from past experience it’s all about obtaining high quality backlinks to your website from high domain authority sites. According to Moz.com, domain authority is rated from 0 to 100. I recommend staying away from server link farms and paid directories since backlinks from these sites can harm your SERP. If you are considering hiring an SEO consultant in Columbus, GA, which can be expensive, I would definitely be concerned about where they are obtaining backlinks from. My recommendation is acquiring backlinks from well known domain authority social media sites such as Pinterest, Facebook, Tumblr, Blogspot, Linkedin, Wordpress, Google+, etc. Writing many informative articles about your products or services and posting on these sites with anchor text backlinks to different pages on your website is an excellent way of improving your SERP. To view website analytics I recommend getting a free Google Webmaster’s account which includes Google Analytics. This provides an html tracking code which you put in the section of your webpage and allows you to view analytical statistics which includes what keywords Google is picking up from your site in addition to how many backlinks you have and where they’re from. Google Adwords or Organic SEO? Want to be SEO expert?